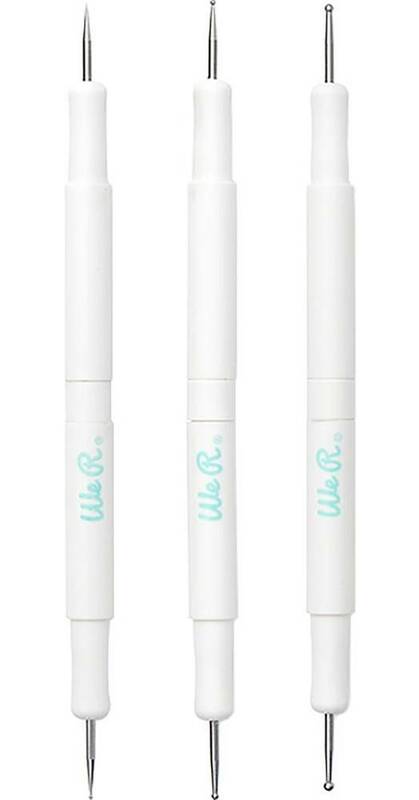 The 3 Piece Embossing Stylus Kit by We R Memory Keepers are great if you love to use stencils, trace and more. Included in the package are three embossing stylus that measure 1mm, 2mm and 3mm. The 1mm stylus features a paper piercer on the end. This set features five sizes of spherical tips and piercer for fine lines, freehand embossing and intricate patterns.